The only thing I've ever wanted to do as a surfer is walk to the nose of my board, hang ten, cruise along like that, every little piggy happily dangling off the tip, me just minding my own business, not a care in the world, before cross-stepping back to the tail and kicking out, mission accomplished, all eyes on the beach on me, a couple of hoots received from my fellow surfers on the paddle back out, and then I do it all again. Is that too much to ask? And yet, time and time again, I am denied. Whenever I try to move forward, my feet either refuse to lift, or tangle up with one another, or suddenly propel me backward off the board, windmilling into the drink. It's the damnedest thing. In fact, I am one of the biggest klutzes the surf breaks around my Wakefield, Rhode Island, home base have ever seen. It's embarrassing. Taking off on a wave, I've heard snickers. Once, this hot-stuff longboarder named Carl paddled up to me and said, "You shouldn't be out here, man. You can't even surf." And sometimes, during my bleakest moments, I have to agree. But I don't plan on giving up anytime soon. You've got your ridiculous, far-fetched, half-baked dreams that won't go away, I've got mine. I want to nose ride. Which is what has brought me to Costa Rica, to the dusty, stray-dog surf town ofTamarindo, where I am nervously slurping down some predawn coffee poolside at the lovely Vista Villas hotel, looking over the railing at a few nice waves peeling in the distance and wondering just what I've gotten myself into. My traveling companion is a sandy-haired, 48-year-old surfer named Robert Weaver, from Santa Cruz, California, but everyone calls him Wingnut. For the most part, we have nothing in common. 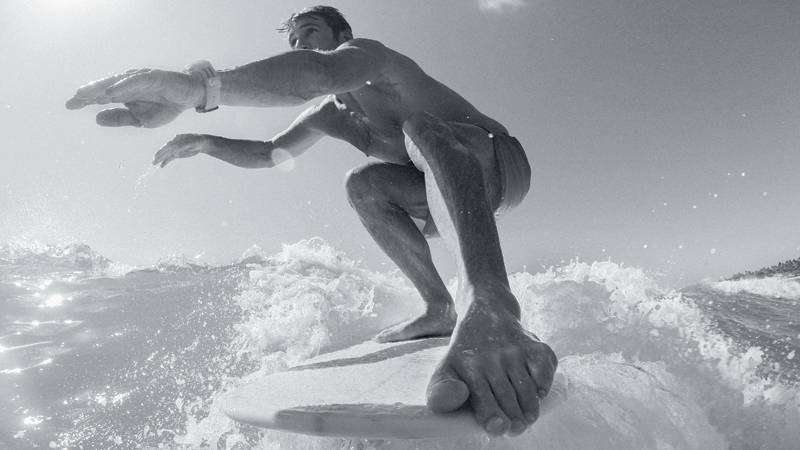 He starred in Endless Summer 2, the highly successful 1994 sequel to 1966's Endless Summer, the greatest surf movie of all time, and is considered one of the best longboarders and nose riders of the modern era. Also, he's always cheerful, always peppy, always entertaining, and always optimistic—one of his favorite sayings is "In my world, the glass is half full all the time"—while I'm more Danish and really have no idea what he's talking about. He's got muscles, I've got skin and bones. He's well tanned, I'm deeply pale. You get the idea.